The relationship between the demographics of a nation and its ability to innovate and be highly productive is a fascinating subject for discussion. Since innovation is central to growth, and productivity could well separate the winners from the losers, the people profile of a nation may provide valuable clues as to the potential for sustained growth. Ruchir Sharma is the Head of Emerging Markets and Global Macro at Morgan Stanley Investment Management. His latest book, The Rise and Fall of Nations: Forces of Change in the Post-Crisis World (2016; W.W. Norton & Company, Inc.) analyzes the cycle of crisis, reform, revival, and complacency that appear to characterize most economies. 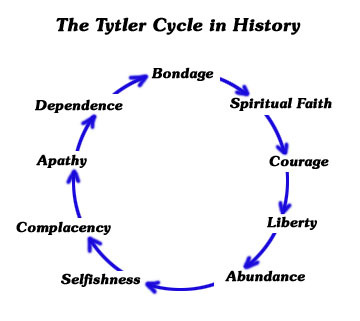 The circle of life as he calls it appears to be a simplified version of the Tytler Cycle in History. Written primarily from a business investor's perspective, the book attempts to simplify the complexities surrounding economic theories into a set of ten rules. It makes for good reading although some of the conclusions are difficult to accept. If only the fate of nations could be determined by a set of ten rules (commandments? ), the world would probably be in a much better shape than it is today. Let us look at the first of the ten rules proposed by Mr. Sharma. He calls it the de-population bomb and explains the phenomenon as the shrinkage in the working population of a country. Thus, in his world-view, countries that are endowed with a sizeable proportion of young people are likely to do better than countries that have the baggage of aging populations to carry. Of course, this rule would come as music to the ears of young people and the not-so-young who somehow believe that aging and productivity + innovation are inversely related. In the words of the venture capitalist Vinod Khosla, "People under 35 are the people who make change happen. 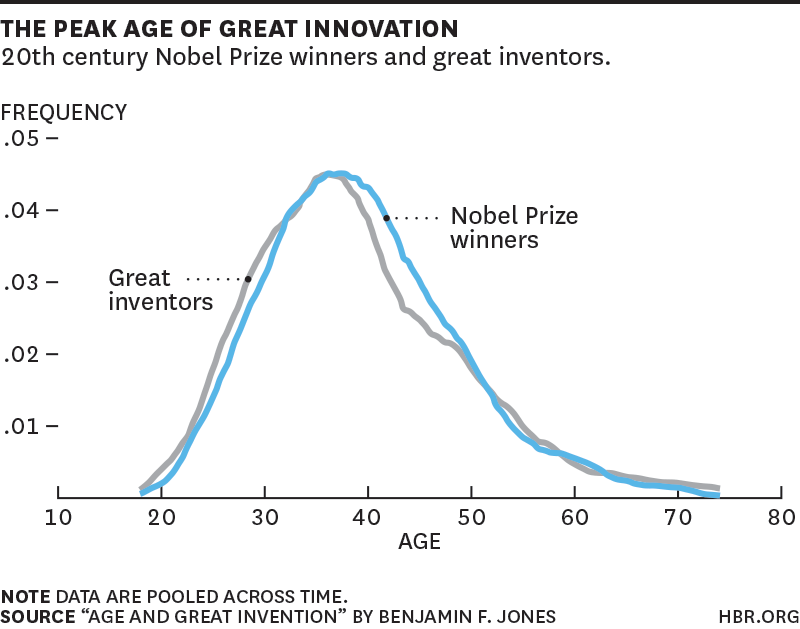 People over 45 basically die in terms of new ideas." The fatal flaw in this argument is that it ignores the quality of the population - in terms of values, culture, education, and an inherent passion for constructive change. The mere presence of a certain age group in a society cannot be a guarantee for success. The myth of the young being the precursors of disruptive change is a by-product of the silicon valley mindset that seems to assume that the cut-off age for innovation and productivity is 40. It is interesting to note that the EEOC has joined a probe behind a federal class action suit against Google filed last month, charging that the search giant "engaged in a systematic pattern" of discrimination against applicants over the age of 40. There are obvious exemptions in the form of the founders Larry Page and Sergey Brin, and the executive chairman Eric Schmidt. For an alternate perspective, please read Professor Jeffrey Sonnenfeld's column in Fortune today titled "Silicon Valley's Peter Pan Syndrome vs. the Aging of Aquarius." The learned scholar systematically de-constructs the mythical relationship between creativity and aging by providing some thoughtful examples: Research by Northwestern University economist Benjamin Jones indicating Nobel laureates since 1985 having created their prize-winning work at an average age of 45, and the fact that virtually no physicist or chemist has won the Nobel prize for work done in their 30s or earlier in their lives; Copernicus offered his general theory of the universe at age 70; Alfred Hitchcock directed his masterpiece Vertigo when he was 59; Frank Lloyd Wright built Fallingwater when he was 68; Benjamin Franklin co-authored the Declaration of Independence at 70; and the great pianist Claudio Arrau was playing as well as he ever had well into his eighties. Professor Sonnenfeld observes that youth is no guarantee of brilliance and age does not ensure wisdom - nor dementia. At the most recent Yale CEO Summit (Professor Sonnenfeld is a senior associate dean at the Yale School of Management), the theme was "disruption" but they did not celebrate the Silicon Valley wunderkinds but rather a set of inspiring septuagenarians and octogenarians - all of whom are still active champions of new enterprises. My take is that for a society to succeed consistently, the quality of its human resources is more critical than either the quantity or the demographic profile. I have witnessed young people in their late 20s and early 30s reaching the burnout stage and being forced to seek medical help. I have also witnessed people in their 70s and 80s with so much enthusiasm and the ability to adapt to changing environments that they would be ideal role models for others. Thus, at a time when questions such as "What if all of us were to live up to 100?" are no longer theoretical, we would do well to stop looking at age as a limiting factor. Instead, the metric to use is more qualitative - the ethos and values that are embedded in people of all age groups. I would humbly submit that societies that follow the doctrine of humanism - the greatest good of the largest number, in letter and spirit - would be the ultimate winners in the holistic sense of the term. On the other hand, if we continue to measure success purely in economic terms, caring only about the ends and not about the means, we would only be enhancing the chasms that already exist.